Here's the Carzone.ie used buying guide for the Tesla Model S.
The Tesla Model S has fundamentally changed motoring, possibly forever. It hasn’t yet sold in the biggest numbers and, with its hefty price tag, it’s no electric Model T (in spite of the allusion in the name…), but it has shaken up the car world like nothing else. Tesla boss Elon Musk has always said that his intention was not to create a profitable car company, but to disrupt the petrol-fuelled industry and inspire others to follow his electric lead. This he has done — every new electric car from a major car maker is now called ‘a Tesla fighter…’ The Model S is big, luxurious, properly fast and the only current electric car with a truly useable real-world range. No wonder it’s shaking up the car world. The Model S range is built around its batteries, which vary in capacity from 75kWh to 100kWh. Early models had a choice between rear-wheel and four-wheel drive, but more recent cars are all four-wheel drive (oddly, this actually makes them more efficient because it means that both motors can scavenge charge from a coasting car). The 75kWh models can run for around 400-490km on a single charge, according to the official tests, and have a realistic day-to-day range of around 300km. The 100D models can run for potentially more than 600km (400-450km realistically), and have BMW M3-like acceleration from 0-100km/h. P100D models, which have a slightly shorter range than the 100D cars, have the serious performance and in the famous ‘Ludicrous Mode’ (it’s a reference to an old Mel Brooks movie) can beat a Porsche 911 Turbo off the line. There were 60, 85, and 90kWh models as well during the Model S’s life, but these have been discontinued now. There’s basically a single equipment level, including air suspension (earlier cars had steel springs as standard), keyless entry, that giant 17-inch touchscreen, digital instruments, satnav, LED lights and a four-year warranty (eight years for the electric motors and batteries). Options include, depending on the age of the car, ‘Vegan’ leather, hospital-grade air filtering, self-driving ‘Autopilot’, rear-facing seats in the boot and more. On the charging front, all models can take an 80 per cent charge in 30 minutes from a fast-charger, but if you’re charging at home from a domestic three-pin socket, you’re looking at more than 12 hours for a full charge from empty. Worth investing in a high-capacity wall box if you’re buying. Clearly the P100D is the superstar of the range, but its price is as eye-watering as its 0-100km/h performance. The 75D would actually suit most purposes and is hardly slow itself, but the mid-spec 100D is probably the best all-rounder, with serious straight-line kick and a totally useable one-charge range. It helps that Tesla is introducing its ‘Supercharger’ fast-charger network to Ireland, and that the company is, since 2017, officially selling cars here, with a dealership in Sandyford, south Dublin. There have been more than a few quality issues reported with Teslas, though. The batteries and motors seem to be robust, but there are myriad electrical and assembly issues, with some customers reporting poor fit of the doors, the interior, malfunctioning pop-out door handles and more. 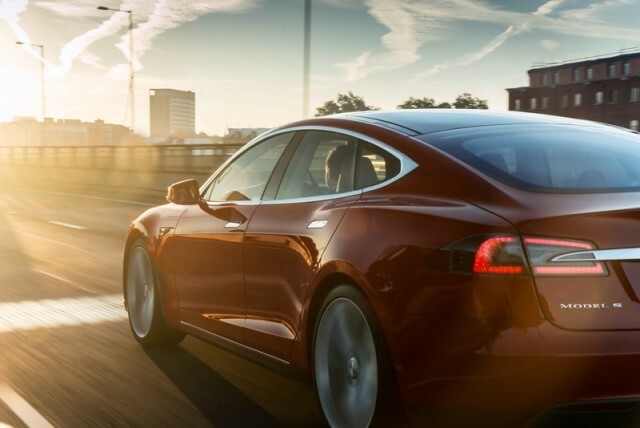 The Model S lives up to its reputation as an automotive game-changer. It’s blisteringly fast in a straight-line, has eerie refinement and smoothness compared to petrol or diesel rivals and (currently, anyway) has the aura of being the most cutting-edge car on the road. With used prices for one-to-two-year-old cars dropping below the €70k mark, now could be the time to get your foot on the luxury electric ladder.